To probe the underlying premises of a liberal political order, John Rawls felt obliged to use a philosophical method that abstracted from many of the details of ordinary life, but this very abstraction became a point of criticism, as it left unclear what implications his theory had for actual public policies and life in the real political world. 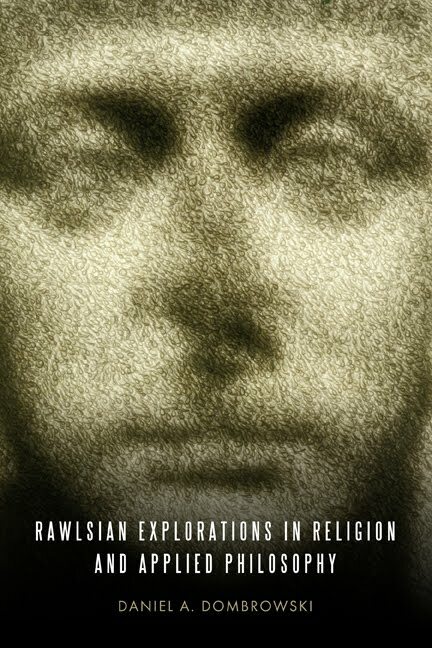 Rawlsian Explorations in Religion and Applied Philosophy attempts to ferret out the implications of Rawls’s theory for how we approach some of our most challenging social problems. As Daniel Dombrowski puts it, “the present book is intended to fill the gap between Rawls’s own empyrean heights and the really practical public policy proposals made by those who are government planners, lobbyists, or legislators.” Among the topics examined are natural rights, the morality of war, the treatment of mentally deficient humans and nonhuman sentient creatures, the controversies over legacy and affirmative action in college admissions, and the place of religious belief in a democratic society. The final chapter is devoted to exploring how Rawls’s own religious beliefs, as revealed in two works posthumously published in 2009, played into his formulation of his theory of justice. 5. "All for the Greater Glory of God": Was Saint Ignatius Irrational? "“Despite the immense secondary literature on the work of John Rawls, there has been relatively little that aims to explore the application of his approach to more concrete issues. This is exactly what Dombrowksi provides, extending and applying justice as fairness in discussions of war, mental disability, animals, affirmative action, and religion. While sympathetic to Rawls’s basic approach, Dombrowksi does not shy away from criticizing some of his brief comments in these areas. He also engages productively with the work of Nicholas Wolterstorff, Michael Walzer, and Martha Nussbaum, among others.” - Jon Mandle, University at Albany, SUNY. Daniel A. Dombrowski is Professor of Philosophy at Seattle University. He is the author of "Rawls and Religion: The Case for Political Liberalism" (State University of New York Press, 2001).